The JRCC East Thornhill is launching a Book Club in its new Community Centre for children. 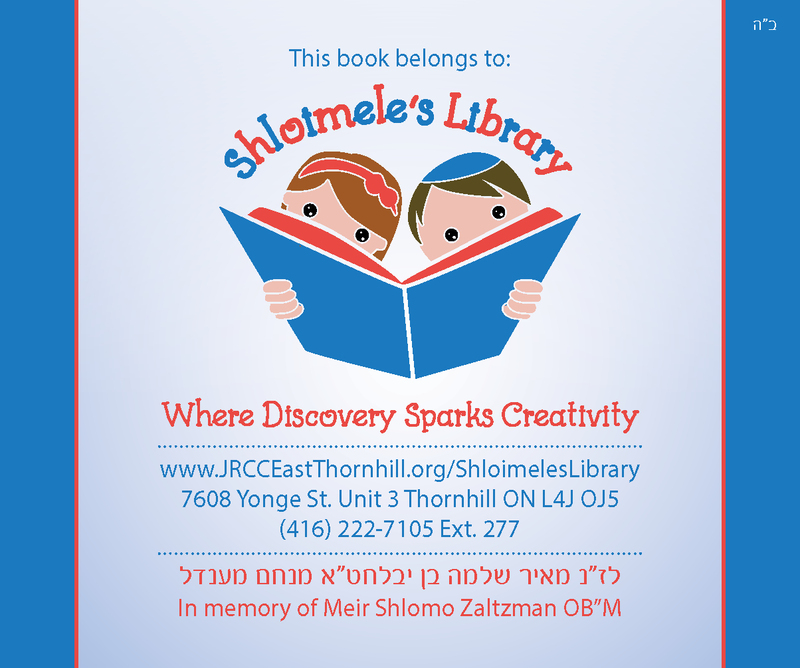 The Library, is named “Shloimele’s Library” in memory of Meir Shlomo Zaltzman, OBM, my dear nephew. It was a pleasure for me to be in charge of the logo design of the library, and some communication tools, as the sticker which will be in all the books, and the membership registration form.